We offer a wide range of rock, boulder and stone services including rock placement, retaining walls, water and boulder features. Contact us today to learn more about our rock solid services. Natural Stone, Boulder, Wood/Timber, and Concrete Block Retaining Wall Services. Water features, sitting areas, fire pits, waterfalls/streams, cascading pools, feng shui and more can be done with our team of boulder placing professionals. Circle M offers top of the line hauling services at affordable prices. 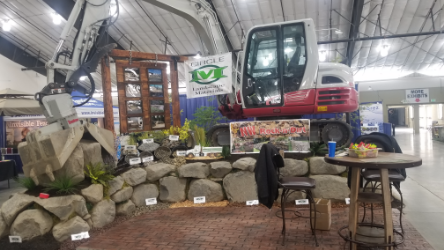 Circle M Landscape Supply | Best in the Northwest! Circle M Landscape Supply & Delivery has been around the rock block for a long time. You can trust our networking connections to get the quality service you need. Weather it be curbing, boulder placement, waterfall or cascading pool we have the network to make your landscape dream come true.